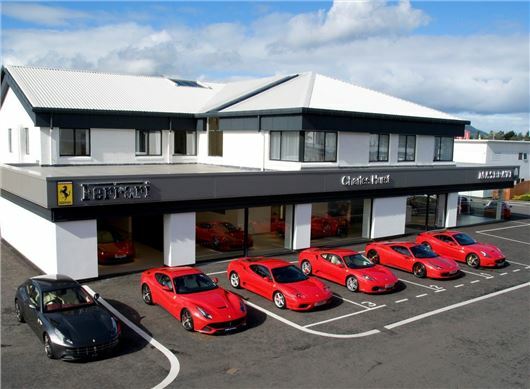 Charles Hurst has opened a new Ferrari dealership in Belfast. The completely new showroom will stock all of the latest Ferrari sports cars, including the 458 Italia, F12 Berlinetta and the company's first ever four-wheel drive car, the FF. According to Charles Hurst, the new building will “display the cars in the best way possible, with regards to lighting, viewing angles, space and environment.” The new dealership has eight display spaces internally, with room for a further 25 cars in a secure area outside. Matteo Torre, Regional Manager for Ferrari North Europe, commented: “Ferrari’s new brand identity is designed to provide a welcoming environment for customers, who can relax and enjoy the purchase and ownership experience.